Eric Macheru is a South African former footballer and actor who is famous for playing the role of Leeto Maputla, the son of Meikie Maputla and John Maputla and the older brother of Thabo Maputla in the soap, Skeem Saam which airs on SABC 1. He attended Kuschke Agricultural High School. He was born on 25th February 1986. He is 33 years old as of 2019. 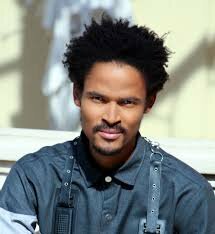 He joined the Mzansi Magic telenovela iNkaba cast in 2012 where he played the role of Rick, a top model on Fumi’s level described as “the Tyson Beckford of iNkaba world”. Eric was also a cast member of Mfolozi Street season 1 as Msindo. He is currently also a cast member of the South African drama series Skeem Saam playing the role of Leeto Maputla, who always gets into trouble, and gets his family to bail him out.